See Cuba as it’s never been seen before – through the lens of Cuban-American history! Improved U.S. relations with Cuba means new tourism opportunities, and there are already many ways you can experience the island nation. But there’s only one tour that caters exclusively to history buffs, that gets you up close and personal with the most momentous times and places in U.S-Cuba history! 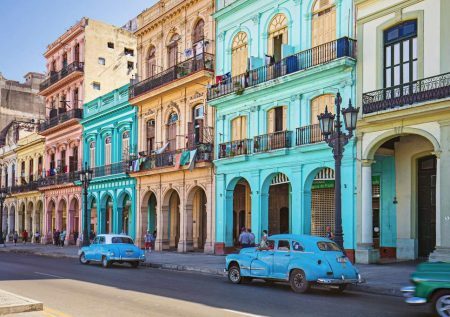 The Cuban-American History Tour from Lewis & Clark Trail Adventures is an immersion into one of the most colorful places on Earth, covering more than 500 miles and 500 years of history. Between Lewis & Clark Adventures’ history buffs and a select group of English-speaking Cuban guides, you will experience first-hand the history and culture of this incredible island. 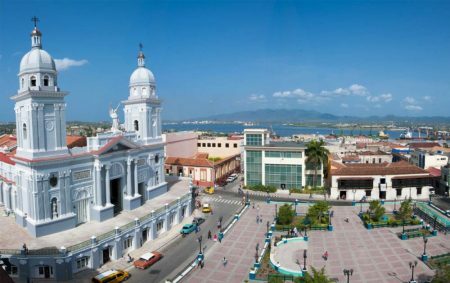 We’ll begin in the region of Cuba’s “Second City,” Santiago de Cuba. You will visit the site of the Battle of Las Guasimas, where Theodore Roosevelt and the Rough Riders saw their first action of the Spanish-American War. You’ll travel to San Juan Hill, where Roosevelt famously overrode orders and led a successful charge that led to U.S. victory. And you’ll see the Caribbean bay outside of Santiago where the U.S. Navy pummeled the vaunted Spanish fleet, leading to Spain’s ultimate surrender. You’ll also have plenty of time to soak in the culture of Santiago de Cuba, a city known for its music and dancing, as well as its rich heritage of Afro-Cuban religions. 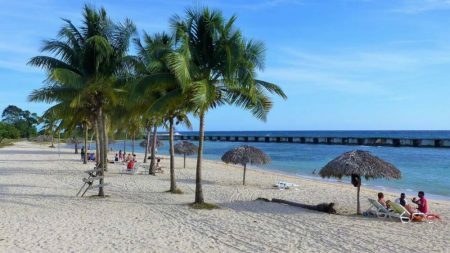 Then we’ll take a day to travel through the heart of the island towards Havana, Cuba’s capital city, with a stop at Bay of Pigs to explore the site of perhaps the biggest near-disaster in American history—and to take advantage of the world-class swimming and snorkeling opportunities there. Once in Havana, we will visit Finca Vigia, where Ernest Hemingway lived and wrote some of his most memorable works. We’ll also direct you to some of Papa Hemingway’s favorite watering holes, such as La Floridita and La Bodeguita del Medio. And we’ll visit the Hotel Nacional de Cuba, the site of the infamous Havana Conference, a meeting of mafia bosses memorably dramatized by Francis Ford Coppola in The Godfather Part II. Lewis & Clark Trail Adventures has a long and successful track record of combining history, adventure and culture in our tours of the American West, and we bring that same level of detail and excellence to our Cuban-American History Tours. Trips include all transportation, and we’ve selected excellent casa particulars (the Cuban version of B&B’s) and other 4-star accommodations. Travel with us and experience an unparalleled, hassle-free dive into the rich history and culture of Cuba! 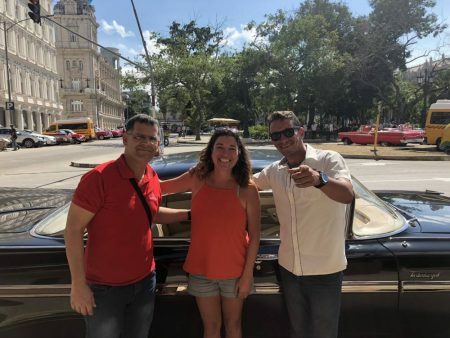 For all of our in-country logistics we have teamed up with Experience Cuba, owned by Joslin Fritz – Long-time traveler and international guide, Joslin began leading people-to-people exchange programs to Cuba in 2012. 1808 – President Jefferson sends General James Wilkinson (later to be known as a Spanish spy) to Cuba to find out if the Spanish would consider ceding Cuba to the United States. Spain was not interested. 1897 – November – Spain’s Queen offers Cuba autonomy. Cuban loyalists and rebels reject the offer. Meanwhile in Washington, D.C., Navy Assistant Secretary Teddy Roosevelt is urging President McKinley to intervene. 1898 – April – The battleship Maine blows up in Havana harbor. “Remember the Main” becomes a battle war cry. Responding to a perceived Act of War, U.S. enters the war with Spain. A later investigation named an internal fire as the likely cause of the explosion. 1939-1960 Ernest Hemingway lives part-time in Havana. 1959 – January 1 – Rebel Forces led by Fidel Castro overthrows the Batista dictatorship. 1961 – April 17 – U.S. Finances and organizes military invasion of Cuba at Bay of Pigs. 2018 – February – Lewis and Clark Trail Adventures travels to Cuba to explore the island and put together a hassle-free tour covering major historical sites and culture. Gia, Pedro & Oscar in Havana after touring around in the Chevy Impala that Sec of State John Kerry rode in Aug 2015. Items of personal nature-laundry, internet, etc. If you have your own group, other areas of interest, dates, we can customize a tour with that in mind. Just let us know! Questions about this trip or booking this tour, please Contact Us and type Cuba in the comments. Need trip insurance? For your convenience, we offer travel protection through Travelex Insurance Services. For more information on the available plans or to enroll: For Cuba only, you can only obtain policy by calling Travelex Insurance Services at 800-228-9792 and reference location number 26-0048.